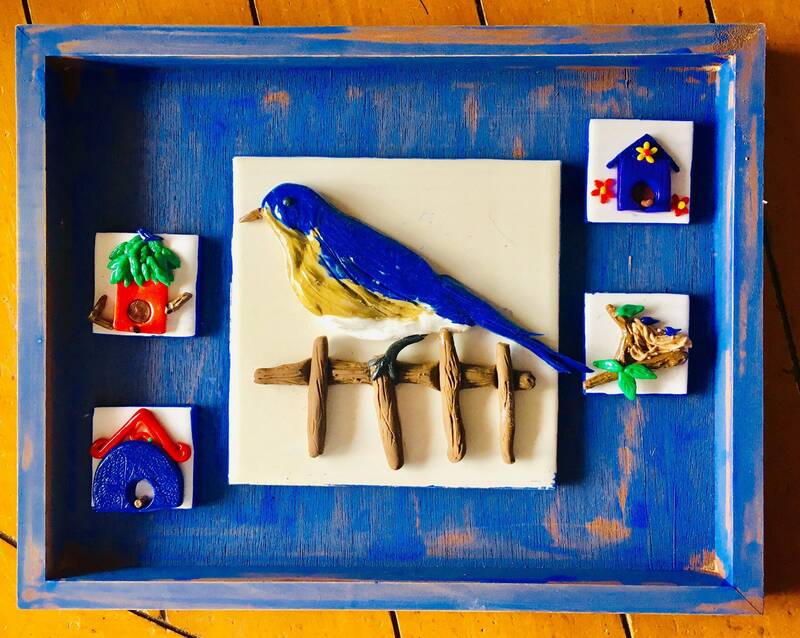 Springtime has come and brought this lovely bluebird on a wooden fence, surrounded by tiles with colorful birdhouses. This piece is created with polymer clay images on ceramic tiles; tiles are mounted inside a painted and distressed wooden tray. Approximately 8 x 10.